Take “sale” ads with a grain of salt. Just because something is “on sale” doesn’t mean that the store is offering the lowest price around. One store’s sale price may be higher than another store’s everyday price. So shop around. Don’t rely on advertising claims such as lowest price of any store in the area. Do your own comparison shopping. If you go to a store for a sale item, and the item is not in stock, you’re entitled to a “rain check” (unless the ad specified that only a specified number of the items were available). The rain check entitles you to purchase the item at the sale price for the next 30 days. If a store refuses to give you a rain check, contact the Department of Consumer Protection. Before you make a purchase, find out about the store’s return policy. While many stores in Westchester have liberal return policies, others have restrictions such as refunds only for 14 or 30 days, or only allow store credit. Some stores say that all sales are final, and don’t accept returns at all. Be especially aware of refund deadlines if you’re buying gifts well before the holidays. By the time you give your gift, it may already be beyond the store’s refund deadline. Stores are not required by law to accept returns or make refunds if they post a no-refund or return policy. The sign must be prominently displayed at each cash register. Don’t assume you have three days to cancel any contract. There is no such law, except for certain types of transactions such as door-to-door sales, home improvement contracts and health club memberships. If a store has no sign at all about returns, a consumer has 20 days to obtain a refund. Even if a store has a no return policy, you always have the right to return damaged or defective merchandise and obtain a refund. Keep your receipts. Some stores don’t allow returns without a receipt, and you may have to settle for an exchange or store credit - - generally at the lowest price for which the item was sold, which might be a lot lower than the actual purchase price. 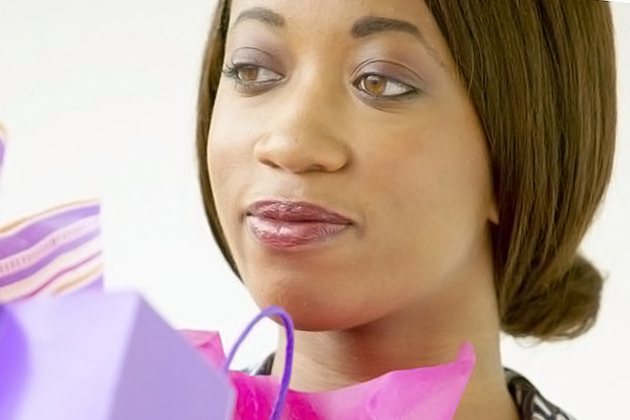 When buying gifts, ask for a “gift receipt” that doesn’t include the price. This will make it easier for the recipient to get a refund in case they don’t like the gift. Resist the hard sell for expensive service agreements or extended warranties. Retailers push really hard to get you to buy these warranties, and try to make you feel stupid if you don’t buy one. That’s because extended warranties are high-markup cash cows for the retailers. Stores often make more money on the warranty than on the actual product. Consumers spend over a billion dollars annually on extended warranties for laptops, flat screen TV’s and other electronics and appliances. Extended warranties are often a bad deal for consumers because research shows that products seldom break down during the coverage period (typically around three years), and when they do, repairs often cost about the same as the cost of the warranty. One possible exception is real projection micro-display TVs. Repair costs can be high, and these sets are more likely to need repair. But other flat screen TVs - - which are a magnet for extended warranty sales - - are proving to be quite reliable. If you want extra protection, pay with a credit card that offers purchase protection or extends the manufacturer’s warranty. Be aware of health and safety concerns when purchasing toys for children. Look at labels that give age recommendations, and buy age appropriate toys. If you’re tempted to buy a child a toy labeled for an older child, reconsider. Age labels are there for safety purposes, not as a gauge of a child’s development. Small toys or toys with small parts pose a choking hazard to children under the age of three. Use a paper towel tube to measure the size of the toy or part. If it fits entirely in the tube, it’s a choking hazard. Toys with small, non-removable parts can still be a choking hazard if those parts can be broken off. Children under the age of three are especially vulnerable since they tend to put things into their mouths. Parents should never assume that children know better than to do this. Beware of toys that contain lead paint. Millions of such toys made in China have been recalled in the past and recalls continue on a regular basis. Check your child’s toy inventory against Consumer Product Safety Commission’s list of recalls. Be vigilant, because county inspectors have found some recalled toys still available on store shelves. Also beware of children’s jewelry. We’re recommending that parents not allow their children to use inexpensive toy jewelry, as much of it has been found to contain lead, often in dangerously high amounts. With so much lead-containing toy jewelry in the marketplace, why take a chance? It’s better to be safe than sorry. Guard against identity theft. Do not give personal information over the telephone or on the Internet unless you initiate the contact. Do not write your address, phone number, social security number of driver’s license number on credit card receipts. Online shopping offers may conveniences. But don’t assume a site is reliable because it looks fancy and has bells and whistles. Shop with companies you know, or which have provided satisfactory service to people you know. Be wary of a company which doesn’t list a phone number and address, and which doesn’t have people answering the phone from whom you can get more information. Look for a written description of the company’s refund and exchange policy. When shopping online, make sure the Web site is secure before entering your personal or financial information. Some Web sites use an unbroken key or padlock logo. But to be positively sure, look at the browser box of your computer. Secure Web sites begin with "https://" rather than just "http://." Verify the delivery date for any purchases you make through mail order catalogs. The company must notify you if they cannot meet the stated delivery date (or deliver within 30 days if no date is specified). If you do not agree to the new delivery date, the company must refund your money. Think about what kind of gift card you want to give. Traditional cards, which can be used at a specific retail or restaurant chain, still dominate the market. But bank gift cards carrying the logo of a major credit, debit or charge card, and accepted at a wide variety of locations, are increasingly popular. Most cards issued by shopping centers or malls are bank cards. Fees vary widely from card-to-card. If you don’t like the terms, find another card. Fees may include purchase fees that are charged when you buy a gift card, transaction fees for using the card, fees for checking the balance, and inactivity fees if the card isn’t used within a specified period of time. Remember that under New York law, there can be no inactivity fee for nonuse of a gift card for the first 12 months. But inactivity fees can be charged after that. Check whether the card has an expiration date. Most retail gift cards do not have an expiration date, but most bank gift cards do. Gift cards with expiration dates may become worthless - - 19 percent of consumers who got gift cards last holiday season still have not used one or more of them. Find out whether a lost or stolen gift card can be replaced and at what charge. Give the Receipt Along with the Gift Card: The recipient may need it to seek a replacement if the card is lost or stolen. Online Use: Check whether the card can be used to purchase merchandise online. Pay with a credit card. You can dispute the charge if there’s a problem, and you’ll have additional consumer protections than if you pay by cash or check. Credit cards are especially good for large purchases, transactions where you pay first and accept delivery later, purchases that require future action by the seller, and items that might break down or contain flaws. If you use a debit card, the money is taken out of your checking account immediately. It is more like paying by cash or check than by credit card. If there’s a problem, you have to try to get the money restored to your account. If you have a problem with any of your holiday purchases, and the retailer isn’t resolving the problem to your satisfaction, you don’t have to fight it alone. Contact the Department of Consumer Protection at (914) 995-2155 or online at https://www.westchestergov.com/ for advice and assistance.